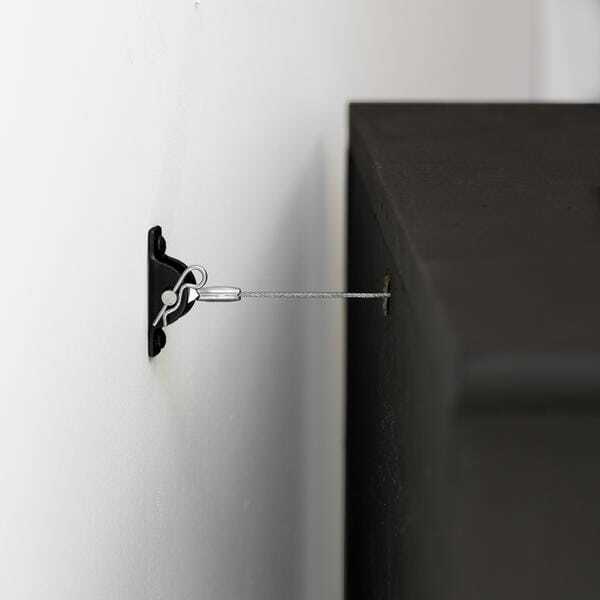 Using anti-tip hardware on all furniture, TV's and appliances is essential. Use the supplied anti-tip device that comes with your purchases. If your item does not come with an anti-tip device, please purchase one using the link above. 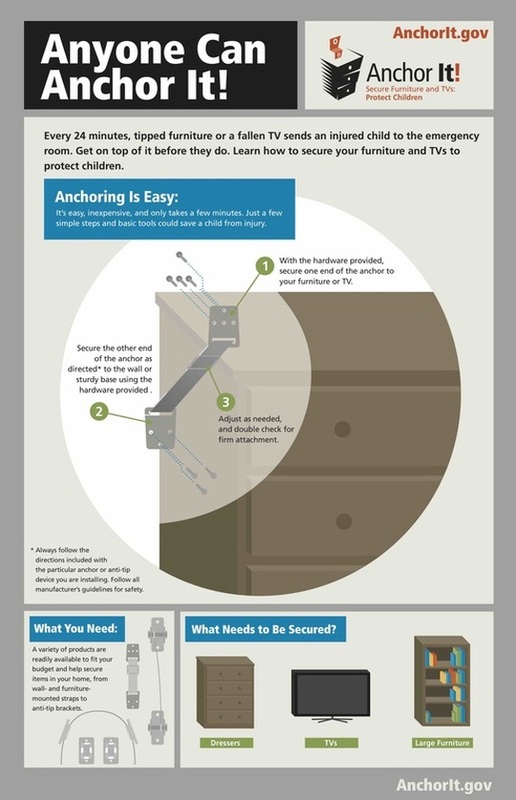 Properly mounting your TV on the wall is the safest option.